If you're vegetarian or vegan, you may be getting tired of falafel – often the only veggie/vegan-friendly dish on many menus. 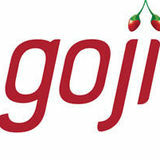 If so, it may be worth taking a trip to Goji cafe in York. This is a vegetarian cafe with many vegan options, some of which – tofu hotdogs, for instance – you may not have anticipated. It offers the full meals you might expect from a restaurant with the mellow atmosphere of a cafe; as well light nibbles if you just want something to go with a coffee. The food is healthy and delicious. To have a more detailed look at their menu, click here. Friendly and attentive service and soft jazz in the background give the place a pleasant ambience. And though it looks small from the outside, it has two extra floors of seating, so you're likely to get a table. It's an ideal place to stop for lunch or to drop in for afternoon tea. However, as it closes between half four and five o'clock in the evening, you'll have to look elsewhere for a dinner reservation. Likewise, its opening time varies from half nine on Friday and Saturdays, to eleven on every other day. As such, it won't be suitable for most 'early-birds' looking for a coffee before work. But if you're spending the day in York, it's a great sojourn in between walking the wall and visiting the Minister.